The Norwegian Academy of Science and Letters was founded in 1857. It is a non-governmental, nationwide body that embraces all scientific disciplines. 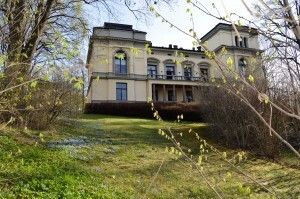 The Academy’s main objective is to advance science in Norway by initiating and supporting research, sponsoring meetings and conferences, awarding scientific prizes, contributing to science policy, and by acting in the interest of science in relation to political authorities and the general public. The Norwegian Academy of Science and Letters awards the Abel Prize in mathematics and the Kavli Prize in astrophysics, nanoscience and neuroscience. The Academy is led by the presidium which consists of the President, the Secretary General and the Vice President. H.M. King Harald is Honorary President of the Academy. 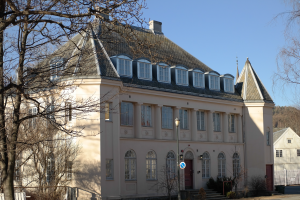 On 1 January 2014 the Norwegian Academy of Science and Letters had altogether 474 Norwegian and 390 foreign members. The members are divided into two sections; Mathematics and Natural Sciences and Humanities and Social Sciences. Each section is divided into eight groups. Each of the two sections has its own board which together with the presidium constitutes the board of the Academy. The Royal Norwegian Society of Sciences and Letters was founded in Trondheim in 1760, and it is the oldest Norwegian scientific institution. It is a non-governmental, nationwide body that embraces all scientific disciplines. The Society is organized in an Academy and a Foundation with one common Board. The Academy serves as a traditional academy with prominent scientists as members, and organizing meetings for its members. The Foundation supports scientific projects and scientific publications. The Society’s main objective is to promote and disseminate science. The Society publishes the journal Skrifter (Transactions), which was founded in 1761. The Society has enjoyed royal protection since 1767.The Academy has 582 Norwegian and 155 foreign members. The Society resides in “Fylkesmannsboligen”, prominently located at Nidelven in downtown Trondheim. The regular meetings of the Academy take place in the Festive Hall of Cathedral School in Trondheim, a tradition that goes back to the late 1700s. Phone: +47 73 59 21 57 /+47 73 59 22 64.